Help Little V to complete his Adventurous flying journey, tap to make him fly to the farthest distance and he will reward you with the latest vivo V15 Pro on daily basis till 28th February Play Little V's Adventure and stand a chance to win Vivo V15 Pro and many exciting gifts every day Each player is eligible to win maximum of 1 unit each of Vivo V15 Pro and Bluetooth earphones during the complete tenure of the game The coupons will be automatically added to the corresponding Player accounts and can be accessed from “My Coupons” section. Players can use the coupons for the purchases on vivo e-store Top 1 Player with longest flight distance everyday till the offer period will win Vivo V15 Pro This game can only be played in mobile and tablets. 2. Player must login / sign-up on to play the game. 3. Player will get 5 Chances each day till the offer period. 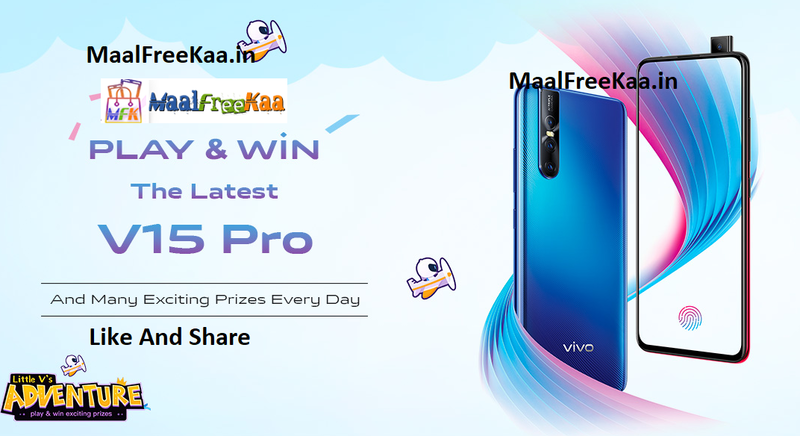 Top 1 Player with longest flight distance everyday till the offer period will win Vivo V15 Pro. Tie Breaker – If more than one player scores the same flight distance, first player to score will be considered as winner. The winners for the previous day will be announced on daily basis at 12PM (noon). 7-14 KMS, Get ₹100 coupon, valid on orders above ₹500. 15-40 KMS, Get ₹500 coupon, valid on orders above ₹4,000. 41-99 KMS, Get ₹1,500 coupon, valid on orders above ₹15,000. >100 KMS, Get ₹3,000 coupon, valid on orders above ₹25,000. Each player is eligible to win maximum of 1 unit each of Vivo V15 Pro and Bluetooth earphones during the complete tenure of the game (20th February till 28th February, 2019). The winners will be notified by email / phone and must provide a postal address to claim their prize (if required). If a winner does not respond to vivo India within 14 days of being notified by vivo India, then the winner's prize will be forfeited. The winners will be contacted by 15th March 2019. The prize will be sent to the winner by vivo India by E-Mail /post/ courier.